Assistant will work on all generations of the DISH Hopper DVR, as well as the Hopper Duo, Joey client, and Walley receiver. 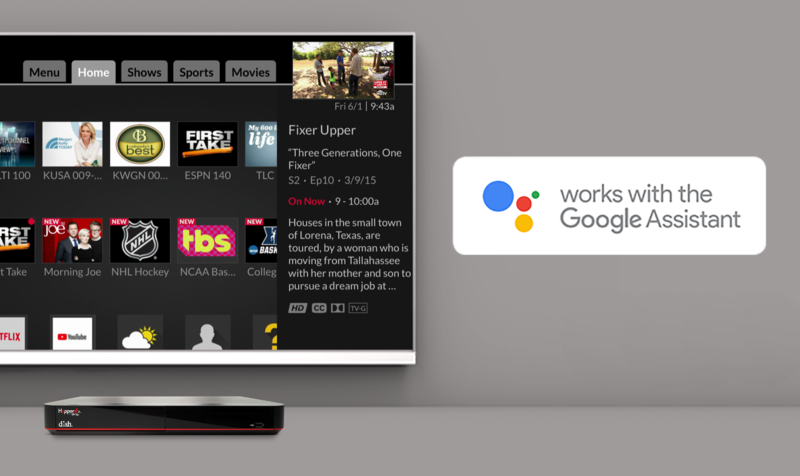 You can search for content, launch apps, and control all basic TV functionality. Here are some of the things you can do with Assistant. "Change the channel to ESPN"
To set up Assistant, you'll need the Home app on your phone. Simply add DISH as a service under home control, and your DVR will show you a code to pair with your account. Google's support pages just got a section on set top box functionality, which is only DISH right now. You can see the full list of commands here. It's a little more detailed than what DISH offered.